DATA NEEDS A BIG EVENT - AND WE’VE GOT IT! 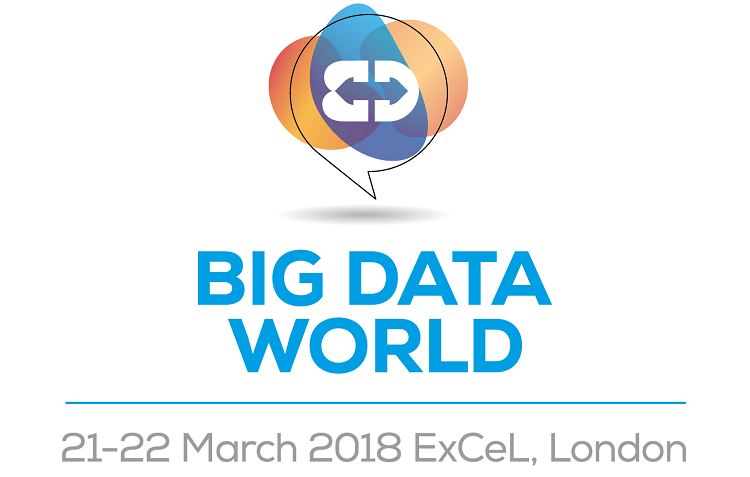 From data management to data integration, from machine learning and AI to analytics, Big Data World is the world-leading event that delivers more features, education, products and services than ever before. Whilst focusing on what really matters for you and your business. Visit the website to find out more www.bigdataworld.com. Meet face-to-face with 70 of the lead data solutions providers, offering the services you’re looking for. Hear from over 100 expert speakers, covering the key topics in the expansive conference programme. Network with hundreds of your peers from some of the world’s biggest and most innovative companies. The Keynote Theatre will present strategies on how to become a data-driven business, how to approach emerging data and to create results. Hear from experts on the challenges managing data across technical infrastructure and business process in the Data Management & Integration Theatre. What does data mean for the business world? Find the answers in the Data Analytics & BI Theatre. In the AI Keynote; visionaries, global influencers and thought leaders will present the strategic side. The Machine Learning & AI Theatre will focus in depth on these cutting edge technologies. MAKE DATA EVEN SMARTER AI Tech World is our brand new event launching alongside the leading data & analytics event, Big Data World. Find out more at www.aitechworld.co.uk. Not only can you further develop your understanding of the technology that everyone is focused on, AI, but you can benefit from a word-class programme hosted by data’s leading minds – and all of this as part of the UK’s largest disruptive technology event. EVERY EMERGING TECHNOLOGY. ONE DIGITAL TRANSFORMATIVE JOURNEY. The UK’s largest disruptive technology event incorporates Big Data World, AI Tech World, Blockchain Technology World, Cloud & Cyber Security Expo, Smart IoT, Cloud Expo Europe, DevOps Live and Data Centre World. The eight co-located events offer an unmissable opportunity to help you navigate through the best or find the best route to your digital transformation, as you explore, across 2 days and in 1 location, ALL the latest emerging technologies to help YOUR business.